We have recently started smoking. No, not the nicotine kind (don’t worry Mum! ), the charcoal kind. And my is it fun. We’ve had adventures with pulled pork (delicious) and smoked beef (still perfecting that one) but my favourite so far has been a smoked leg of lamb, using Yotam Ottolenghi’s lamb shawarma recipe. 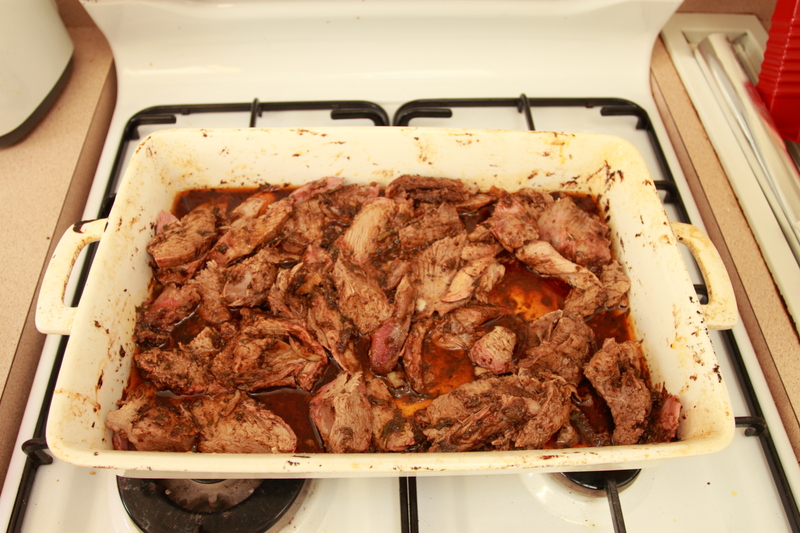 I know I prod and poke around with some recipes, but there is really nothing you would want to change about this one: it is totally amazing and has ruined me for all other lamb dishes. The preparation may feel a bit like a labour of love – plenty of fancy and delicious ingredients like cinnamon sticks and star anise and fresh coriander that need to be ground, sliced, crushed and grated. But it is utterly, totally worth it. The recipe asks that you dry-roast the peppercorns, cloves, cardamom pods, fenugreek seeds, fennel seeds, cumin seeds, star anise and cinnamon stick until the seeds pop, and then add nutmeg and paprika. 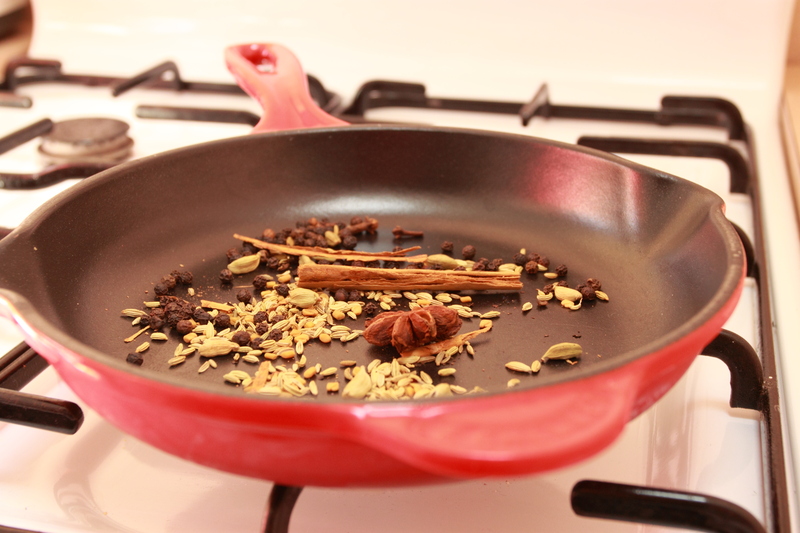 This will make your kitchen smell absolutely lovely. These ingredients then have to be ground to a powder – we used an old, slightly decrepit coffee grinder with a dodgy cable, borrowed from my parents. No electric shocks resulted, you will be glad to hear. 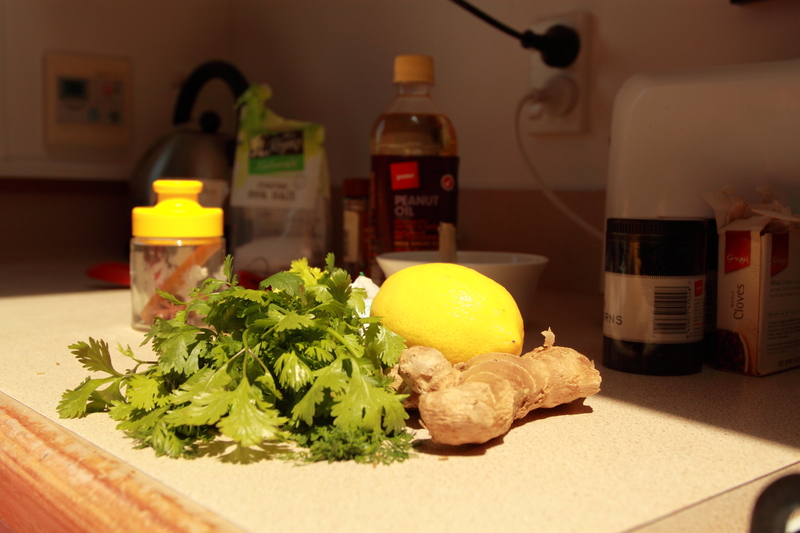 All of that delightful fresh coriander (40 grams), along with sea salt, lemon juice, garlic, peanut oil, sumac and fresh ginger are mixed with the ground spices to make a paste. I loved this bit because the lovely fresh smells hit you in a big delicious wave. One then massages the paste into the lamb joint. Which, I won’t lie, does feel a bit odd. 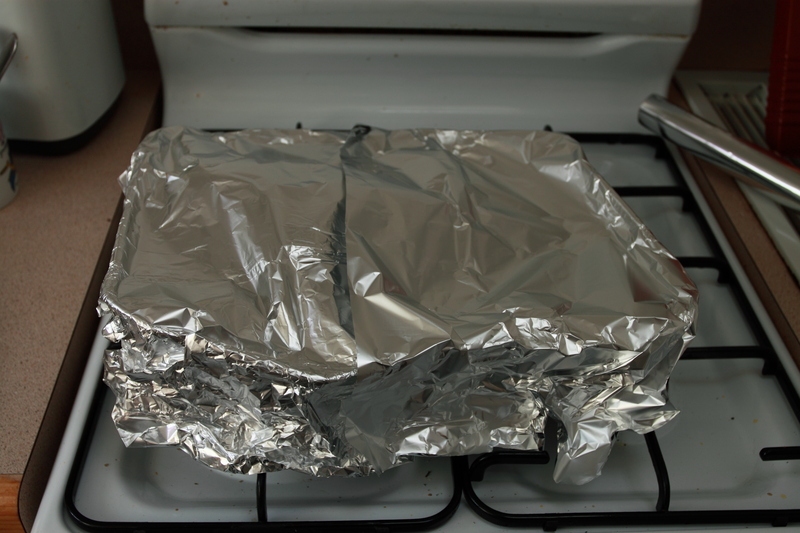 The lamb gets wrapped in its own little foil tent. 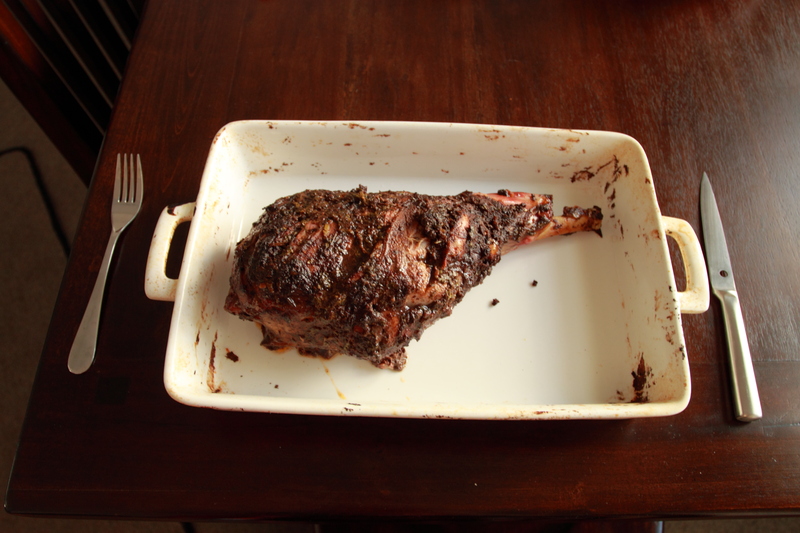 Now we divert from Mr Ottolenghi’s method, as we placed ours in our smoker, instead of a 170 degrees celsius oven. 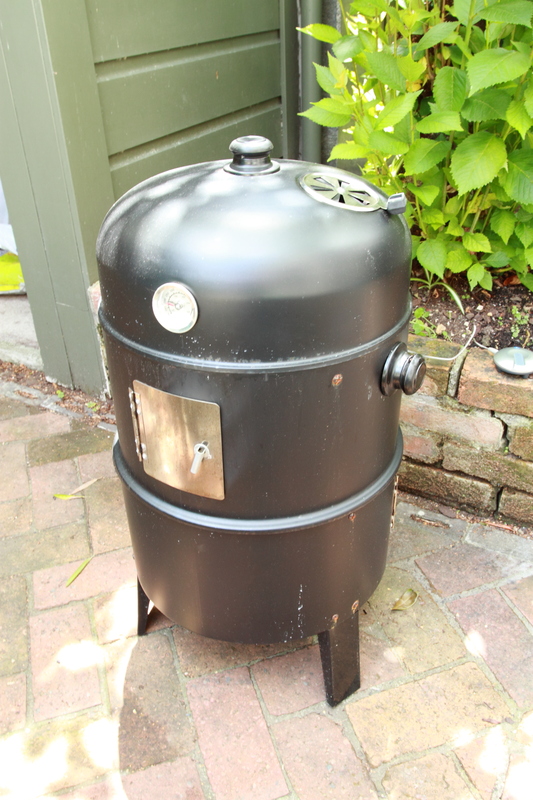 A smoker, I have learned, is a delicate thing when it comes to heating and maintaining a specific heat. I must confess I leave the more technical aspects of this part to the spouse, who has a far greater aptitude for tools, gadgets and generally all things that go ‘beep’ than I do. But for those of you wishing for these details, we use charcoal in our smoker, and to cook this joint, we tried to keep the temperature around 200 degrees farenheit / 93 degrees celsius, and took our lamb out when it reached an internal temperature of around 65 degrees celsius. I’ve already confessed that Mr Ottolenghi has ruined me for all over lamb recipes with this amazing concoction. A purist may be horrified, but I found smoking the lamb joint complemented the flavours beautifully and boy does it make your garden smell incredible while it’s cooking. Happy experimenting ’til next time. Oh my that looks delicious! Ooh, I have been asked to ask – what is the temperature gadget that Mr Spouse is using (big fella here is quite interested in acquiring one)? Hello there! Why, thank you, it was pretty tasty. 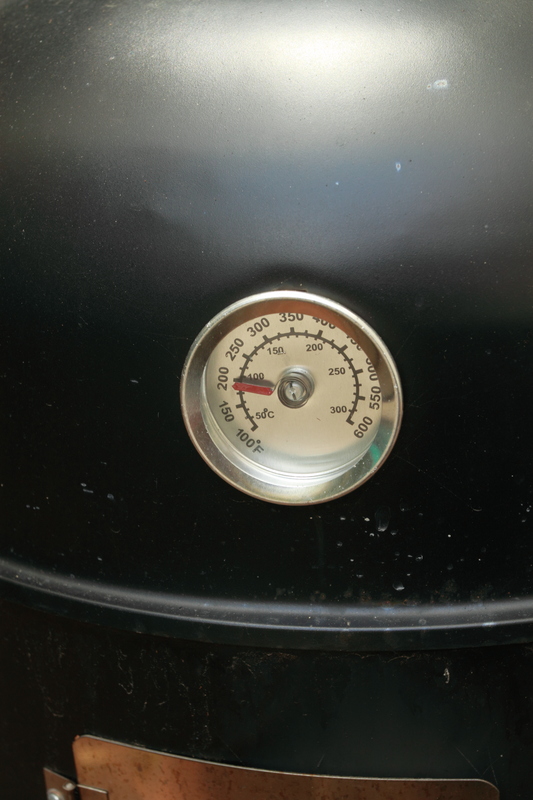 The temperature gadget is a wireless meat thermometer, just from Bunnings – can’t find a link to it online, but I’m sure you guys will have them in your Bunnings if we have them in Lyall Bay.